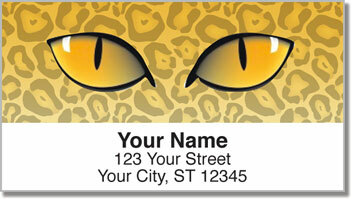 For a completely original way to label your letters and packages - choose this eye-catching design! Four images of different peepers pop right out at you. They include a pair of sly cat eyes, a glazed over zombie gaze, the cold stare of an alien and a whole shelf full of funky eyeballs! 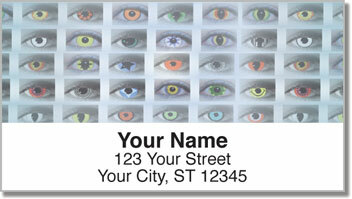 Eye See You Address Labels from CheckAdvantage will definitely make your mail stand out from the rest of the pack. Plus, you'll also save a ton of time! These labels are self-adhesive, which means all you have to do is stick them on anything you want to mark with your name and address. 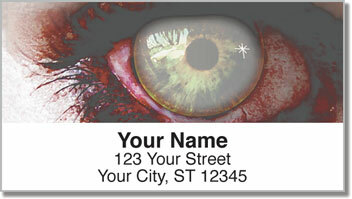 Get your very own Eye See You Address Labels now! 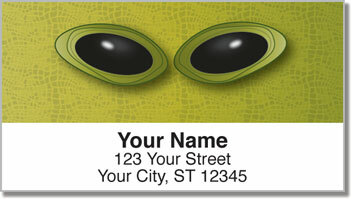 Complete the order with matching checks.